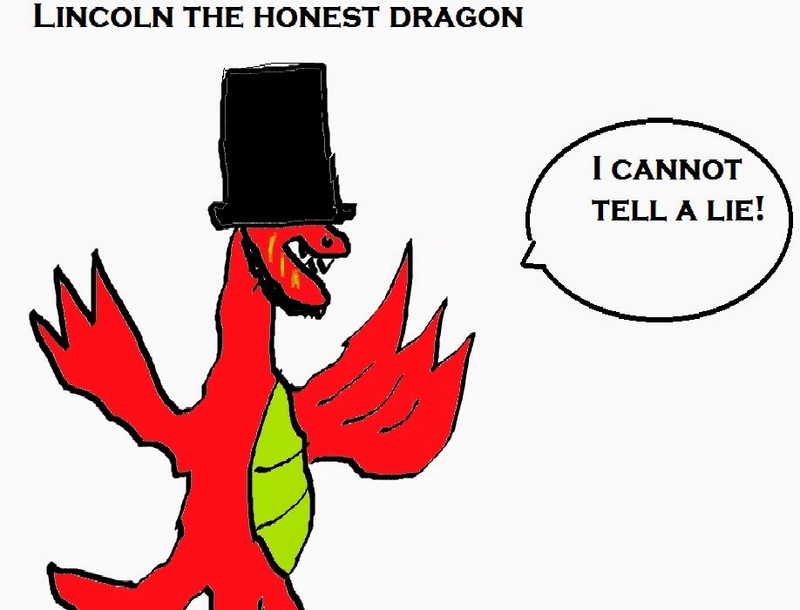 Like Lincoln the Honest Dragon, I cannot tell a lie. Or was that Washington the Honest Basilisk? My fiction has thrived since February. I’ve probably written the most I’ve ever done since this date. However, like anything in life, something has to be sacrificed to strengthen something else. It’s like when people who work out do “arm day” or “leg day.” They’re trying to strengthen one body part at a time. I’m of the opinion that writers can multitask this same way, but it’s a lot of work. Sometimes it’s too much work to keep up with everything. So what to do? Maybe it’s good to step away now and again. If it’s your fiction, your blogging, or social media, sometimes one takes precedence over the other. For me, my fiction has surged ahead of everything else, that’s why I’m quieter than I usually am on social media and I’m not blogging as much. So it goes. However, I feel like if my blog has to suffer, that just has to happen sometimes. I’ll continue to try to post interviews, bad fantasy art, and other topics, but the “information superhighway” goes too fast for me at times. I need to slow down and get things in perspective. To see the best way to use my blog for both me and anyone who reads it. Is it providing anything new? Is it interesting to me and other people? Going forward, I’m going to be doing less fantasy writing advice, and more random fantasy junk I like. That’s because I hope if I write about topics I have fun with, that it will shine through somehow. If I’m just writing about, well, writing just because I think I have to, then I’m not being honest with myself. I love writing and I love talking about it. I just want to think of new ways to do so. Honesty goes with everything you do. If you love writing YA, write it. If you love erotica, write it. It really does shine through if you love the medium you’re working in. If you don’t, it comes across as pandering or bland. If you’re skilled enough to fake it, more power to you. But I believe honesty is important to success in one way or another. That goes with your publishing route as well. If you feel self-publishing is honestly you best bet, do it. If you have other ideas that you think might work, try them also. Never close one door if you think you have a chance at it. So, is it all or nothing, or time to choose fiction or blogging? I don’t think it’s an all or nothing decision. I’ll continue to update my blog and hope people dig what I write about. However, for any others out there, I encourage you to blog about topics that interest you, that you love. Don’t do something just because marketing people tell you to do it. As fiction goes, writing what you love will always supersede writing what you think you’re supposed to. That’s my take anyway. I finished a 140,000 word first draft and dozens of short stories since I pulled back on blogging and social media. Do I want to eliminate these aspects from my life completely? No. Like anyone, I just have to figure out what to do in moderation. Hope this helped anyone thinking about bringing more balance to their writing life. Much love!